Sixty years after the publication of Orwell's masterpiece, Nineteen Eighty-Four, that crystal first line sounds as natural and compelling as ever. 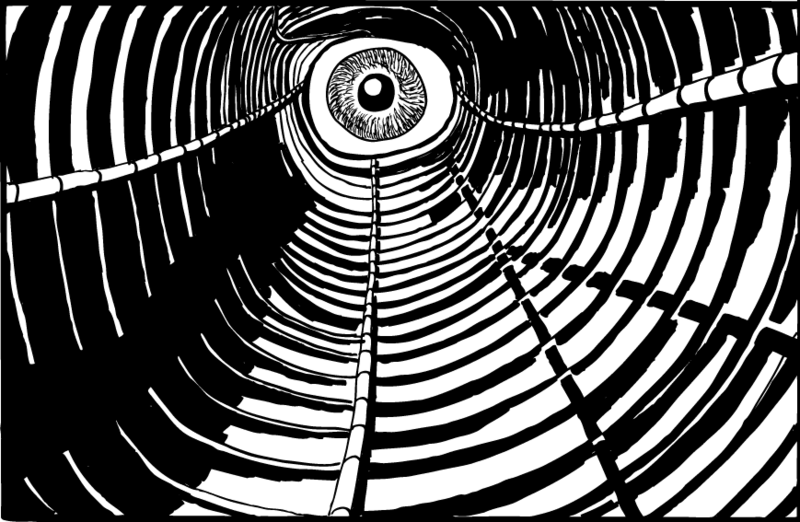 But when you see the original manuscript, you find something else: not so much the ringing clarity, more the obsessive rewriting, in different inks, that betrays the extraordinary turmoil behind its composition. Probably the definitive novel of the 20th century, a story that remains eternally fresh and contemporary, and whose terms such as "Big Brother", "doublethink" and "newspeak" have become part of everyday currency, Nineteen Eighty-Four has been translated into more than 65 languages and sold millions of copies worldwide, giving George Orwell a unique place in world literature. 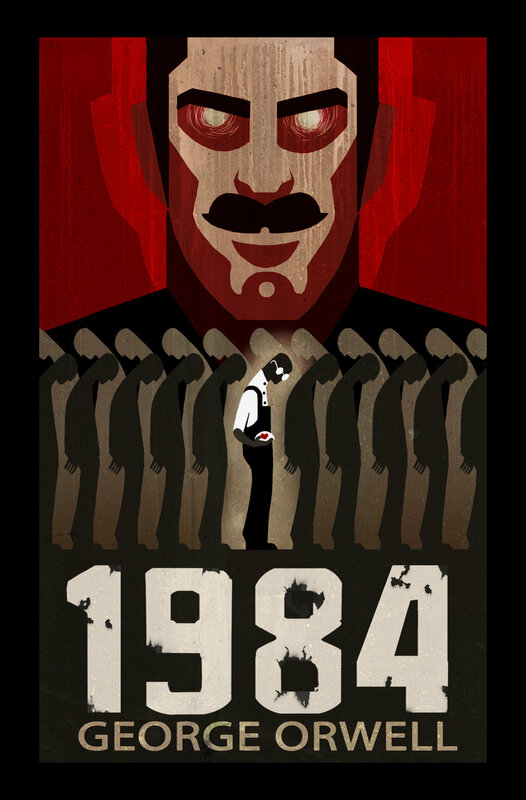 "Orwellian" is now a universal shorthand for anything repressive or totalitarian, and the story of Winston Smith, an everyman for his times, continues to resonate for readers whose fears for the future are very different from those of an English writer in the mid-1940s. 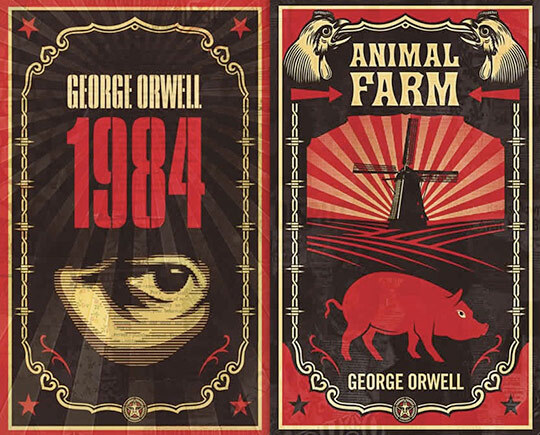 The circumstances surrounding the writing of Nineteen Eighty-Four make a haunting narrative that helps to explain the bleakness of Orwell's dystopia. Here was an English writer, desperately sick, grappling alone with the demons of his imagination in a bleak Scottish outpost in the desolate aftermath of the second world war. The idea for Nineteen Eighty-Four, alternatively, "The Last Man in Europe", had been incubating in Orwell's mind since the Spanish civil war. His novel, which owes something to Yevgeny Zamyatin's dystopian fiction We, probably began to acquire a definitive shape during 1943-44, around the time he and his wife, Eileen adopted their only son, Richard. Orwell himself claimed that he was partly inspired by the meeting of the Allied leaders at the Tehran Conference of 1944. Isaac Deutscher, an Observer colleague, reported that Orwell was "convinced that Stalin, Churchill and Roosevelt consciously plotted to divide the world" at Tehran. 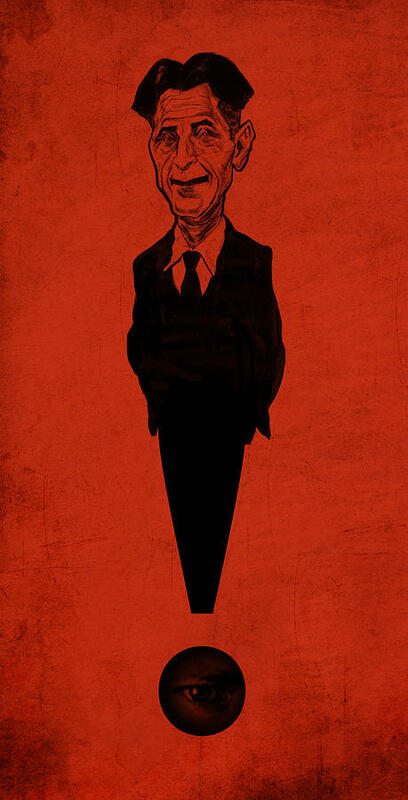 Orwell had worked for David Astor's Observer since 1942, first as a book reviewer and later as a correspondent. The editor professed great admiration for Orwell's "absolute straightforwardness, his honesty and his decency", and would be his patron throughout the 1940s. 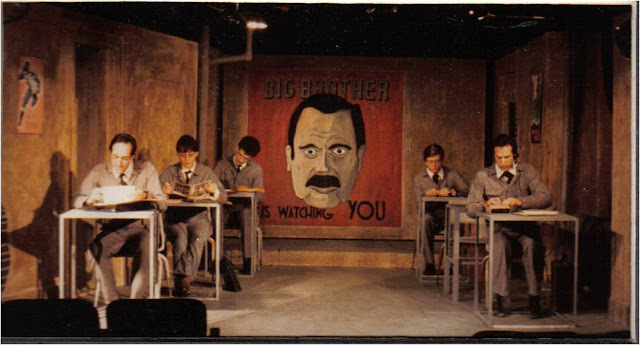 The closeness of their friendship is crucial to the story of Nineteen Eighty-Four. 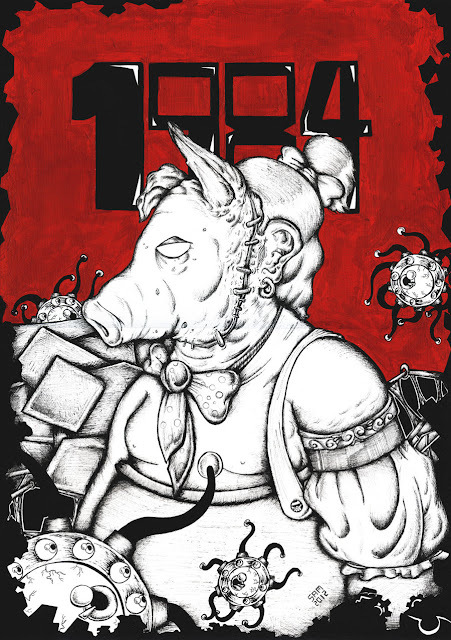 Orwell's creative life had already benefited from his association with the Observer in the writing of Animal Farm. As the war drew to a close, the fruitful interaction of fiction and Sunday journalism would contribute to the much darker and more complex novel he had in mind after that celebrated "fairy tale". It's clear from his Observer book reviews, for example, that he was fascinated by the relationship between morality and language. There were other influences at work. Soon after Richard was adopted, Orwell's flat was wrecked by a doodlebug. The atmosphere of random terror in the everyday life of wartime London became integral to the mood of the novel-in-progress. Worse was to follow. In March 1945, while on assignment for the Observer in Europe, Orwell received the news that his wife, Eileen, had died under anaesthesia during a routine operation. Suddenly he was a widower and a single parent, eking out a threadbare life in his Islington lodgings, and working incessantly to dam the flood of remorse and grief at his wife's premature death. In 1945, for instanc e, he wrote almost 110,000 words for various publications, including 15 book reviews for the Observer. Now Astor stepped in. His family owned an estate on the remote Scottish island of Jura, next to Islay. There was a house, Barnhill, seven miles outside Ardlussa at the remote northern tip of this rocky finger of heather in the Inner Hebrides. Initially, Astor offered it to Orwell for a holiday. Speaking to the Observer last week, Richard Blair says he believes, from family legend, that Astor was taken aback by the enthusiasm of Orwell's response. In May 1946 Orwell, still picking up the shattered pieces of his life, took the train for the long and arduous journey to Jura. He told his friend Arthur Koestler that it was "almost like stocking up ship for an arctic voyage". It was a risky move; Orwell was not in good health. The winter of 1946-47 was one of the coldest of the century. Postwar Britain was bleaker even than wartime, and he had always suffered from a bad chest. At least, cut off from the irritations of literary London, he was free to grapple unencumbered with the new novel. "Smothered under journalism," as he put it, he told one friend, "I have become more and more like a sucked orange." Ironically, part of Orwell's difficulties derived from the success of Animal Farm. After years of neglect and indifference the world was waking up to his genius. "Everyone keeps coming at me," he complained to Koestler, "wanting me to lecture, to write commissioned booklets, to join this and that, etc - you don't know how I pine to be free of it all and have time to think again." On Jura he would be liberated from these distractions but the promise of creative freedom on an island in the Hebrides came with its own price. Years before, in the essay "Why I Write", he had described the struggle to complete a book: "Writing a book is a horrible, exhausting struggle, like a long bout of some painful illness. One would never undertake such a thing if one were not driven by some demon whom one can neither resist or [sic] understand. For all one knows that demon is the same instinct that makes a baby squall for attention. And yet it is also true that one can write nothing readable unless one constantly struggles to efface one's personality." Then that famous Orwellian coda. "Good prose is like a window pane." From the spring of 1947 to his death in 1950 Orwell would re-enact every aspect of this struggle in the most painful way imaginable. Privately, perhaps, he relished the overlap between theory and practice. He had always thrived on self-inflicted adversity. At first, after "a quite unendurable winter", he revelled in the isolation and wild beauty of Jura. "I am struggling with this book," he wrote to his agent, "which I may finish by the end of the year - at any rate I shall have broken the back by then so long as I keep well and keep off journalistic work until the autumn." Barnhill, overlooking the sea at the top of a potholed track, was not large, with four small bedrooms above a spacious kitchen. Life was simple, even primitive. There was no electricity. 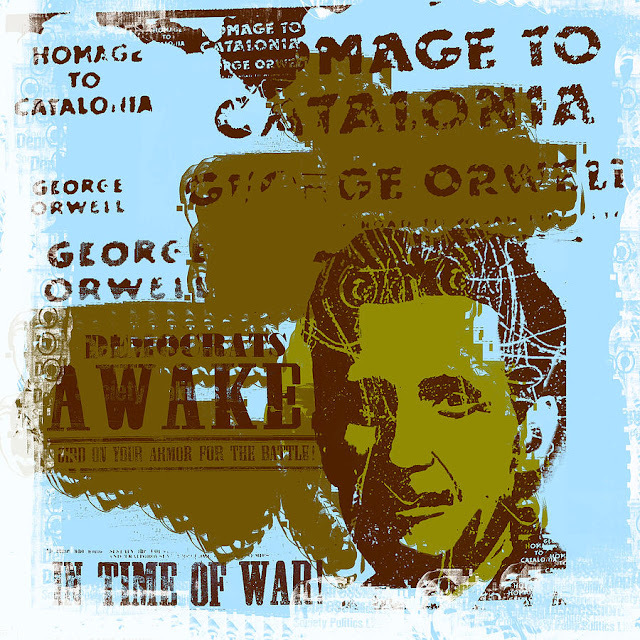 Orwell used Calor gas to cook and to heat water. Storm lanterns burned paraffin. In the evenings he also burned peat. He was still chain-smoking black shag tobacco in roll-up cigarettes: the fug in the house was cosy but not healthy. A battery radio was the only connection with the outside world. Orwell, a gentle, unworldly sort of man, arrived with just a camp bed, a table, a couple of chairs and a few pots and pans. It was a spartan existence but supplied the conditions under which he liked to work. He is remembered here as a spectre in the mist, a gaunt figure in oilskins. The locals knew him by his real name of Eric Blair, a tall, cadaverous, sad-looking man worrying about how he would cope on his own. The solution, when he was joined by baby Richard and his nanny, was to recruit his highly competent sister, Avril. Richard Blair remembers that his father "could not have done it without Avril. She was an excellent cook, and very practical. None of the accounts of my father's time on Jura recognise how essential she was." Once his new regime was settled, Orwell could finally make a start on the book. At the end of May 1947 he told his publisher, Fred Warburg: "I think I must have written nearly a third of the rough draft. I have not got as far as I had hoped to do by this time because I really have been in most wretched health this year ever since about January (my chest as usual) and can't quite shake it off." 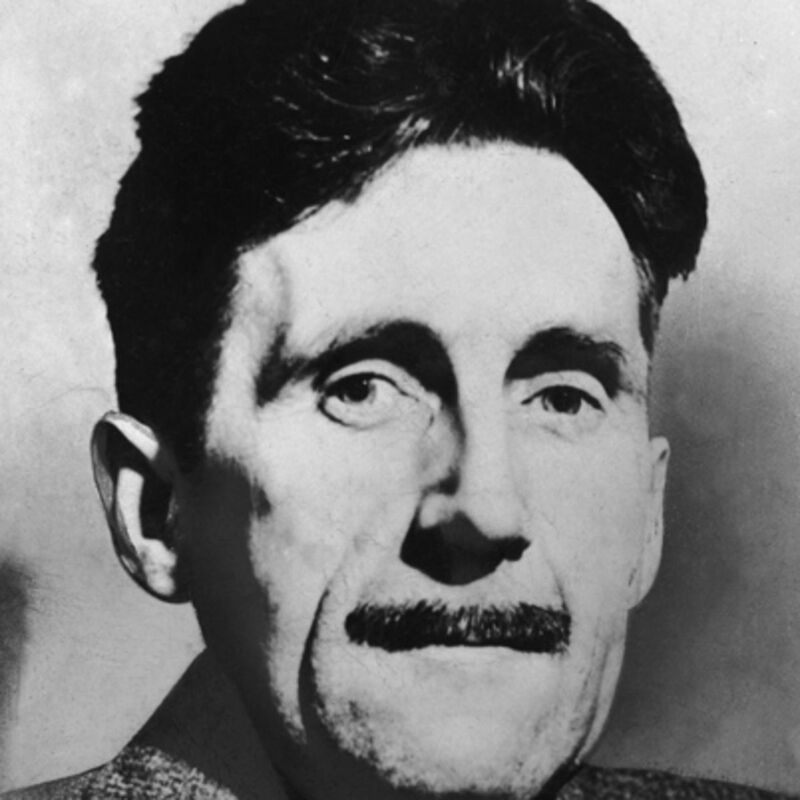 Mindful of his publisher's impatience for the new novel, Orwell added: "Of course the rough draft is always a ghastly mess bearing little relation to the finished result, but all the same it is the main part of the job." Still, he pressed on, and at the end of July was predicting a completed "rough draft" by October. After that, he said, he would need another six months to polish up the text for publication. But then, disaster. Part of the pleasure of life on Jura was that he and his young son could enjoy the outdoor life together, go fishing, explore the island, and potter about in boats. In August, during a spell of lovely summer weather, Orwell, Avril, Richard and some friends, returning from a hike up the coast in a small motor boat, were nearly drowned in the infamous Corryvreckan whirlpool. Richard Blair remembers being "bloody cold" in the freezing water, and Orwell, whose constant coughing worried his friends, did his lungs no favours. Within two months he was seriously ill. Typically, his account to David Astor of this narrow escape was laconic, even nonchalant. The long struggle with "The Last Man in Europe" continued. In late October 1947, oppressed with "wretched health", Orwell recognised that his novel was still "a most dreadful mess and about two-thirds of it will have to be retyped entirely". He was working at a feverish pace. Visitors to Barnhill recall the sound of his typewriter pounding away upstairs in his bedroom. Then, in November, tended by the faithful Avril, he collapsed with "inflammation of the lungs" and told Koestler that he was "very ill in bed". Just before Christmas, in a letter to an Observer colleague, he broke the news he had always dreaded. Finally he had been diagnosed with TB. A few days later, writing to Astor from Hairmyres hospital, East Kilbride, Lanarkshire, he admitted: "I still feel deadly sick," and conceded that, when illness struck after the Corryvreckan whirlpool incident, "like a fool I decided not to go to a doctor - I wanted to get on with the book I was writing." In 1947 there was no cure for TB - doctors prescribed fresh air and a regular diet - but there was a new, experimental drug on the market, streptomycin. Astor arranged for a shipment to Hairmyres from the US. Richard Blair believes that his father was given excessive doses of the new wonder drug. The side effects were horrific (throat ulcers, blisters in the mouth, hair loss, peeling skin and the disintegration of toe and fingernails) but in March 1948, after a three-month course, the TB symptoms had disappeared. "It's all over now, and evidently the drug has done its stuff," Orwell told his publisher. "It's rather like sinking the ship to get rid of the rats, but worth it if it works." As he prepared to leave hospital Orwell received the letter from his publisher which, in hindsight, would be another nail in his coffin. "It really is rather important," wrote Warburg to his star author, "from the point of view of your literary career to get it [the new novel] by the end of the year and indeed earlier if possible." Just when he should have been convalescing Orwell was back at Barnhill, deep into the revision of his manuscript, promising Warburg to deliver it in "early December", and coping with "filthy weather" on autumnal Jura. Early in October he confided to Astor: "I have got so used to writing in bed that I think I prefer it, though of course it's awkward to type there. I am just struggling with the last stages of this bloody book [which is] about the possible state of affairs if the atomic war isn't conclusive." This is one of Orwell's exceedingly rare references to the theme of his book. He believed, as many writers do, that it was bad luck to discuss work-in-progress. Later, to Anthony Powell, he described it as "a Utopia written in the form of a novel". The typing of the fair copy of "The Last Man in Europe" became another dimension of Orwell's battle with his book. The more he revised his "unbelievably bad" manuscript the more it became a document only he could read and interpret. It was, he told his agent, "extremely long, even 125,000 words". With characteristic candour, he noted: "I am not pleased with the book but I am not absolutely dissatisfied... I think it is a good idea but the execution would have been better if I had not written it under the influence of TB." And he was still undecided about the title: "I am inclined to call it NINETEEN EIGHTY-FOUR or THE LAST MAN IN EUROPE," he wrote, "but I might just possibly think of something else in the next week or two." By the end of October Orwell believed he was done. Now he just needed a stenographer to help make sense of it all. It was a desperate race against time. Orwell's health was deteriorating, the "unbelievably bad" manuscript needed retyping, and the December deadline was looming. Warburg promised to help, and so did Orwell's agent. At cross-purposes over possible typists, they somehow contrived to make a bad situation infinitely worse. Orwell, feeling beyond help, followed his ex-public schoolboy's instincts: he would go it alone. By mid-November, too weak to walk, he retired to bed to tackle "the grisly job" of typing the book on his "decrepit typewriter" by himself. Sustained by endless roll-ups, pots of coffee, strong tea and the warmth of his paraffin heater, with gales buffeting Barnhill, night and day, he struggled on. By 30 November 1948 it was virtually done. Now Orwell, the old campaigner, protested to his agent that "it really wasn't worth all this fuss. It's merely that, as it tires me to sit upright for any length of time, I can't type very neatly and can't do many pages a day." Besides, he added, it was "wonderful" what mistakes a professional typist could make, and "in this book there is the difficulty that it contains a lot of neologisms". 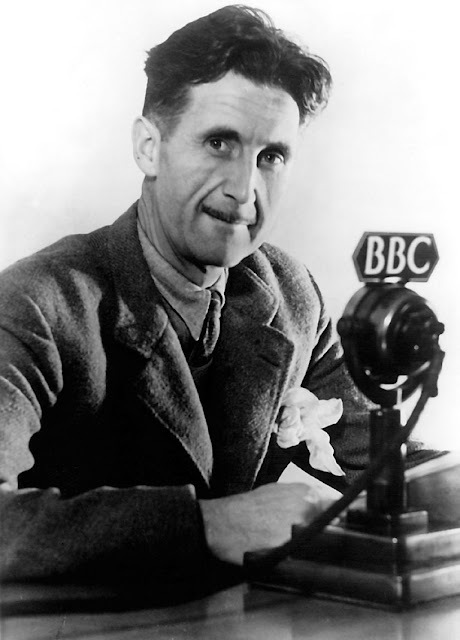 The typescript of George Orwell's latest novel reached London in mid December, as promised. Warburg recognised its qualities at once ("amongst the most terrifying books I have ever read") and so did his colleagues. An in-house memo noted "if we can't sell 15 to 20 thousand copies we ought to be shot". By now Orwell had left Jura and checked into a TB sanitorium high in the Cotswolds. "I ought to have done this two months ago," he told Astor, "but I wanted to get that bloody book finished." Once again Astor stepped in to monitor his friend's treatment but Orwell's specialist was privately pessimistic. As word of Nineteen Eighty-Four began to circulate, Astor's journalistic instincts kicked in and he began to plan an Observer Profile, a significant accolade but an idea that Orwell contemplated "with a certain alarm". As spring came he was "having haemoptyses" (spitting blood) and "feeling ghastly most of the time" but was able to involve himself in the pre-publication rituals of the novel, registering "quite good notices" with satisfaction. He joked to Astor that it wouldn't surprise him "if you had to change that profile into an obituary". Nineteen Eighty-Four was published on 8 June 1949 (five days later in the US) and was almost universally recognised as a masterpiece, even by Winston Churchill, who told his doctor that he had read it twice. Orwell's health continued to decline. In October 1949, in his room at University College hospital, he married Sonia Brownell, with David Astor as best man. It was a fleeting moment of happiness; he lingered into the new year of 1950. In the small hours of 21 January he suffered a massive haemorrhage in hospital and died alone. The news was broadcast on the BBC the next morning. Avril Blair and her nephew, still up on Jura, heard the report on the little battery radio in Barnhill. Richard Blair does not recall whether the day was bright or cold but remembers the shock of the news: his father was dead, aged 46. David Astor arranged for Orwell's burial in the churchyard at Sutton Courtenay, Oxfordshire. He lies there now, as Eric Blair, between HH Asquith and a local family of Gypsies. The effect of Nineteen Eighty-Four on our cultural and linguistic landscape has not been limited to either the film adaptation starring John Hurt and Richard Burton, with its Nazi-esque rallies and chilling soundtrack, nor the earlier one with Michael Redgrave and Edmond O'Brien. It is likely, however, that many people watching the Big Brother series on television (in the UK, let alone in Angola, Oman or Sweden, or any of the other countries whose TV networks broadcast programmes in the same format) have no idea where the title comes from or that Big Brother himself, whose role in the reality show is mostly to keep the peace between scrapping, swearing contestants like a wise uncle, is not so benign in his original incarnation. Apart from pop-culture renditions of some of the novel's themes, aspects of its language have been leapt upon by libertarians to describe the curtailment of freedom in the real world by politicians and officials - alarmingly, nowhere and never more often than in contemporary Britain. George owes his own adjective to this book alone and his idea that wellbeing is crushed by restrictive, authoritarian and untruthful government. A term in common usage for a scarily omniscient ruler long before the worldwide smash-hit reality-TV show was even a twinkle in its producers' eyes. The irony of societal hounding of Big Brother contestants would not have been lost on George Orwell. Some hotels have refused to call a guest bedroom number 101 - rather like those tower blocks that don't have a 13th floor - thanks to the ingenious Orwellian concept of a room that contains whatever its occupant finds most impossible to endure. Like Big Brother, this has spawned a modern TV show: in this case, celebrities are invited to name the people or objects they hate most in the world. An accusation often levelled at the current government by those who like it least is that they are trying to tell us what we can and cannot think is right and wrong. People who believe that there are correct ways to think find themselves named after Orwell's enforcement brigade. See "Thought Police" above. The act or fact of transgressing enforced wisdom. For Orwell, freedom of expression was not just about freedom of thought but also linguistic freedom. This term, denoting the narrow and diminishing official vocabulary, has been used ever since to denote jargon currently in vogue with those in power.